Inspired by the gritty urban landscape, Aventis defines contemporary design. With a six-color palette of strong grey and olive tones, these colors will bring a cool minimal look to your modern space. This thin porcelain tile has the appearance of a concrete that both looks the part and performs to the highest industrial standard of this age-old building material. Created with the latest technology in technical porcelain production, the minimalist nature of the look enhances the complexity of its design. Each of the six colors is a unique blending of base color with a stain that adds contrast by using an application that allows the slightest shimmer of reflection. Monochromatic in their overall tone, the colors range from a creamy beige (Cotton) to a dark black (Eclipse). The smooth surface combined with the soft but tactile touch creates a harmonious texture that will engage any designer yet allow for easy routine cleaning. With the large scale commercial or contemporary residential installations in mind, sizes available are 1m x 3m (39” x 118”), 1m x 1m (39” x 39”) and .50m x 1m (19.5” x 39”) all rectified. Aventis 3plus is suitable for interior and exterior, wall, floor and countertop applications in residential and light commercial construction. More detailed areas of use charts are available in the Thinner Technical Manual at www.floridatile.com/thinner. 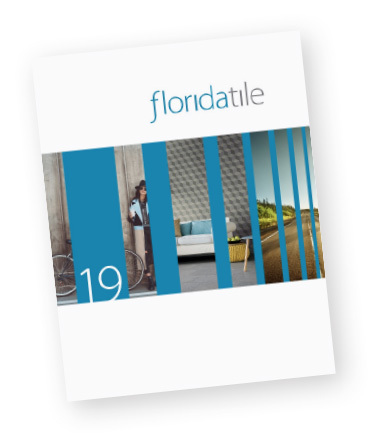 This Florida Tile product is GREENGUARD® certified and will contribute to USGBC registered LEED® projects. It will also contribute to the ANSI approved NAHB® Green Building Standard ICC 70.